Whether your feet feel like lead or every step hurts, do a foot massage can wake up your feet. 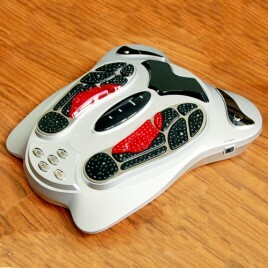 We supply foot massage machine like foot massagers to soothe your soles. There are many of the world's best foot massagers: electromagnetic wave pulse circulation foot massager, dual detox detoxification foot bath spa Ionic cleanses cleansing healthy and so on. All of our foot massagers can rapidly restore dynamic muscle fatigue, release tension and help circulation. Try a foot massager machine of us, you will love it!